GLIMPSE of the Future – It begins! 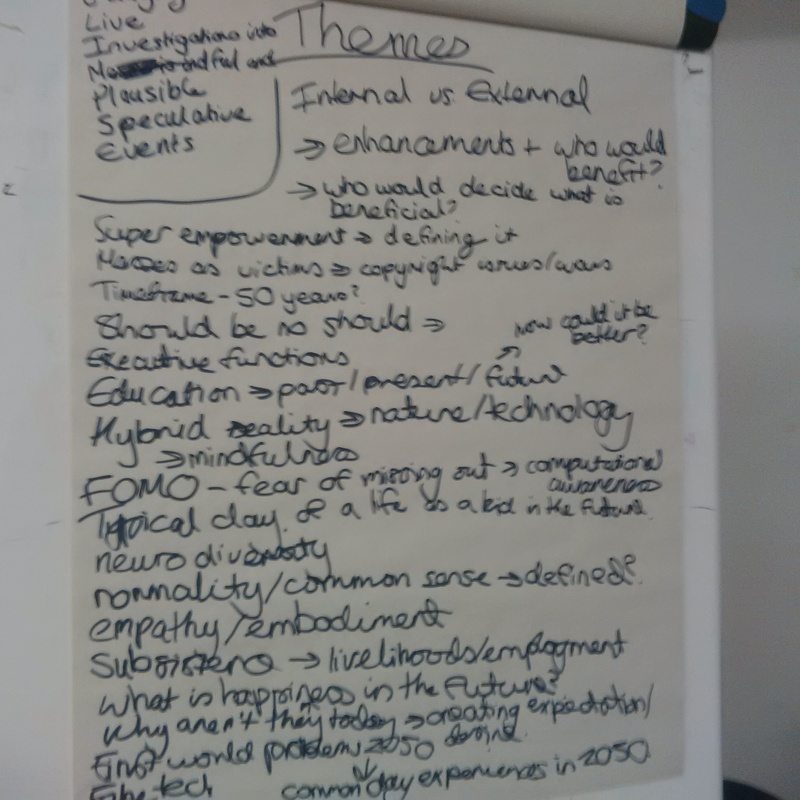 So the first meeting of GLIMPSE of the Future collaboration was on Monday 30th June – discussing ideas between artists and futurists with which we can stage future scenarios both good and bad – so that the dialogues discussed will exist well beyond the final curtain. With Science Fiction Theatre, there is something about the liveness of the activity, the embodiment of a world between performers and audience, the reliance on language, gesture and sound to bring these concepts to life – and it’s something I want to emphasize with GLIMPSE. Why GLIMPSE, you ask? I came up with this acrostic that sums up our collab quite nicely: Gauging Live Investigations into Mindful and Plausible Speculative Events. What’s exciting about this stage in the project particularly is that starting almost from tabula rasa enables us to explore and roam freely into any area we feel like (within reason, of course), but with that there’s always an element of fear and risk. It’s those feelings that can be comparable to thinking of the far future. In our first meeting, we discussed events in the next 50 years – how certain concepts would be defined, how would we see ourselves as individuals and how would our interactions change? How would our next generations be educated – and how could we continue to become educated and empowered in later life? What would empowerment even mean? What would enhancement entail – and what would be the costs of these? How could we be happy in the future? How will people be self-sufficient? Would we update our concept of normality? I’m looking forward to our next meeting – thank you everyone for getting involved!